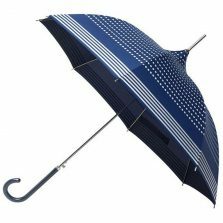 Are you on the hunt for the most beautiful ladies pagoda umbrella on this website? This is surely a contender. Sadly this beautiful umbrella has now been discontinued. 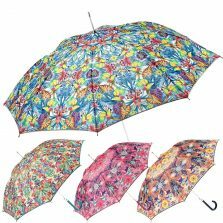 But please don’t be disheartened check out some of our other beautiful brollies. Here we have another new addition to our pagoda style range of ladies umbrellas. Wonderful, wonderful Copenhagen – admit it, the tune came into your head, didn’t it? One of the prettiest, most elegant umbrella designs you’ll ever see. 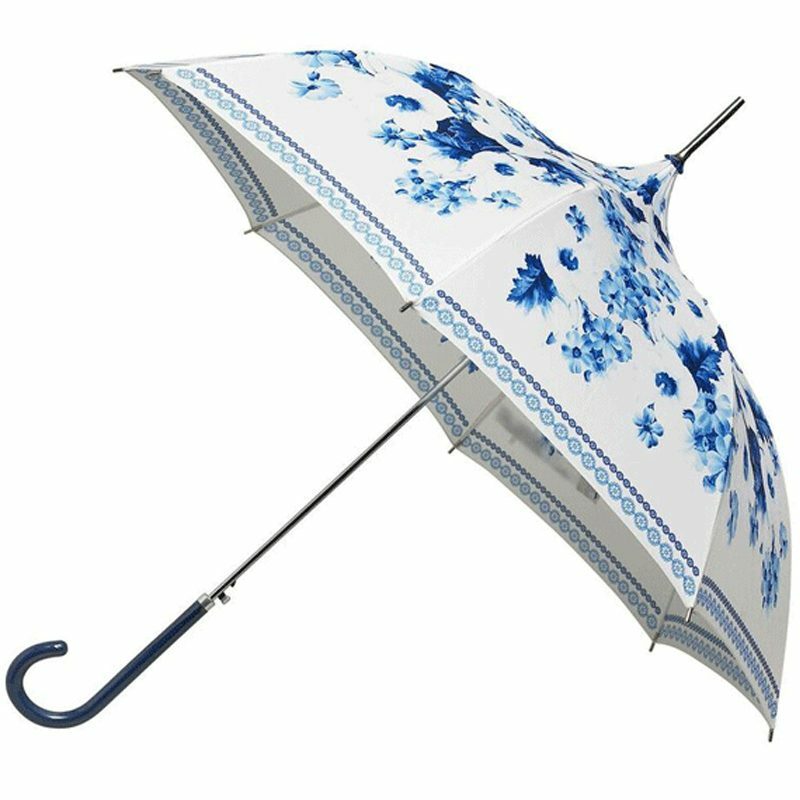 The stunning Copenhagen Floral Pagoda style Umbrella has a cream canopy and features beautiful blue flowers laid out across the canopy and a matching floral pattern around the border. 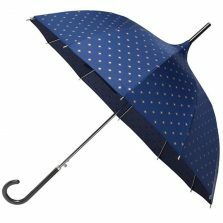 The Copenhagen Floral Pagoda style umbrella is automatic opening and has a stylish, slim dark blue, fabric covered crook handle. Steel frame with strong, light fibreglass ribs. This stunning brolly is great for a special occasion such as a wedding. Visiting the Chelsea flower show, on a trip to somewhere special … Copenhagen maybe? Alternatively you can use it on your next trip to the shops and watch heads turn. Why not add the Copenhagen Floral Pagoda style Umbrella to your collection? Overall length of the Copenhagen umbrella is 90 cm / 35.5″ and canopy span of 90 cm / 35.5″. Not the umbrella for you? 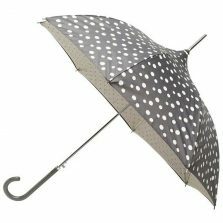 Check out our range of fashion umbrellas!